Eagle Scout (Troop 5). Retired Maplewood Director of Recreation and Cultural Affairs. Currently Dean of Students at a private High School. Scoutmaster for 48 years. BSA recognitions include the Silver Beaver Award, Scoutmaster Award, Scouter’s Key and the District Award of Merit. Son is a Troop 5 Eagle Scout (former PL, ASPL, SPL). ASM since 2010. Current Chair of the Recruitment Committee. Former Assistant Cubmaster of Pack 20 Maplewood for 2 years. Son is a Troop 5 Eagle Scout (former PL and SPL). Eagle Scout (Troop 5). ASM since 2013. (former PL, ASPL and SPL). Manager communications department, United States Rowing Federation. ASM since 2015. Previous Cubmaster of Pack 19 Maplewood (2 years) and Den Leader (4 years). He has two sons in the Troop, one a Life Scout (current PL) and the other a Scout. Equity Research Analyst. ASM since 2009. Previous Cubmaster and Den Leader for Pack 3 Maplewood. Son is a Troop 5 Eagle Scout (former PL, ASPL, JASM). Editor. Eagle Scout (Troop 90, Washington, DC). Runs a local woodworking shop and is an EMT. ASM since 2008. He is our current Medical Officer. Recipient of Scouter Training Award. Advisor on the 2011 and 2014 treks to Philmont Scout Ranch. Assistant Scoutmaster at 2010 National Scout Jamboree (Troop 505). Son is a Troop 5 Eagle Scout (former PL, ASPL and JASM). Eagle Scout (Troop 5). Presently attending Ithaca College majoring in Outdoor Adventure Leadership and Pre-MBA studies. (former PL, ASPL, JASM). Troop 5 Eagle Scout (former Den Chief, Historian, PL, ASPL, and JASM). Currently an ASM since 1988. Attended summer camp for over 30 years. Was a member of 3 different Troop 5 trips to the USVI. Awarded the District’s Assistant Scoutmaster of the Year. Teacher, South Orange/ Maplewood School District. ASM since 2013. Previous Assistant Cubmaster for 2 years. Attended Philmont Scout Reservation 2014 and USVI trip in 2013 and 2016. Youth Leader at St. George’s Church for 4 years. Son is a Troop 5 Eagle Scout (former PL, SPL and JASM). IT Sales. ASM Since 2017. Troop 5 Eagle Scout Troop 5. (former PL, SPL and JASM). Troop 5 Eagle Scout. ASM since 2014. Has two sons who are Eagle Scouts and one son who is currently a Life Scout. Retired Maplewood Police Officer and currently a Security Officer. ASM since 2013. 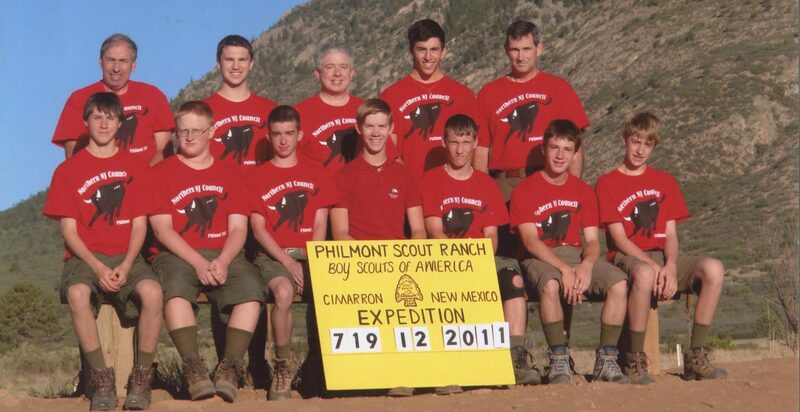 Attended Philmont Scout Reservation 2014. Son is a Troop 5 Eagle Scout (current SPL). Executive Chef, Private New York City Club. ASM since 2010. Previous Cubmaster Pack 20 South Orange for 2 years. Son is a Life Scout (PL, current ASPL). Attended USVI in 2013 & 2016. Director at Camp Winnebago. Retired Senior Manager. ASM since 2017. Previous Advancement Chair at Troop and Pack 10. Active leader with BSA since 2003. Parent of three sons: youngest is a Troop 5 Eagle Scout; Middle was a Troop 10 Life Scout; and oldest is a Troop 10 Eagle Scout. Lenape Trails District Den Chief Training Trainer since 2010. A member of Glen Gray Old Guard. School Board Member, Our Lady of Sorrows School. Eagle Scout (Troop 86, Lyndhurst). Current Chair of the Communications Committee since 2016. Former Cubmaster of Pack 19 (2 years). Son is a Life Scout. School Leader. ASM since 2008. Previous Recruitment Chair. Son is a Troop 5 Eagle Scout (former PL, ASPL). Troop 5 ASM since 2013. Former Committee Chair, Assistant Webelos Leader, and Den Leader for Pack 3 Maplewood. Son is currently a Life Scout. BMW Group Vehicle Automotive Technician. ASM since 2009. Popcorn Kernel for 5 years, Advancement Committee for 2 years. Previous Pack 20 South Orange Popcorn Kernel for 3 years as well as a Den Leader. Co-Leader of Girl Scout Troop 321 Maplewood for 5 years. Coached girls softball, boys baseball and boys soccer in the MSO Rec League for 14 years. Former member of the National Ski Patrol. Son is a Troop 5 Eagle Scout (PL and ASPL). Owner, JAZ Studios, Inc (Stained Glass and Hardwood Floors). Eagle Scout (Troop 5). ASM since 2014. (former PL, ASPL and SPL). Current Committee Chair since 2009 and was an ASM from 2009 – 2005. Previous Cubmaster (2 years) and Den Leader in Pack 4 Maplewood. Son is a Troop 5 Eagle Scout (former PL, ASPL, SPL). Head Coach MSO Packers (5 years), Head Coach South Brunswick Girls Softball (7 years), Assistant Coach MSO Girls Softball (1 year). Eagle Scout (Troop 13, Weehawkin). Committee Member since 2002. Former Cubmaster for 2 years and Den Leader of Pack 4 Maplewood. Son was a PL and ASPL. Computer Consultant. Committee Member since 2003. Son is a Troop 5 Eagle Scout (former PL, ASPL, SPL). Consumer Products Research Chemist. Eagle Scout, Troop 152 (North Haverhill, NH). Current Chair of the Program Committee. Committee Member since 2005. Previous Cubmaster of Pack 4 Maplewood. Has two sons who are Troop 5 Eagle Scouts (One was a PL and ASPL and the other was a PL and SPL). Technology Consultant. Committee Member since 1985 and is the current Chair for our Board of Review. In the past he served as our Committee Secretary. Previous Committee Chair of Pack 4 Maplewood. He’s been to more summer camps than he can remember and was a MSO Youth Baseball coach for many years. He had two sons in the Troop, one of them is a Troop 5 Eagle Scout. Committee Member since 2017. Son is a Troop 5 Life Scout. Committee Member since 2000. Son is a Troop 5 Eagle Scout (former ASPL). Committee Member since 2011. Son is a Troop 5 Eagle Scout (PL and ASPL). Committee Member since 2005. Son is a Troop 5 Eagle Scout (former ASPL). Graphic Designer. Committee Member since 2006. Past Chair of the Communications Committee. Previous Den Leader Pack 20 South Orange (5 years). Son is a Troop 5 Eagle Scout (former PL, ASPL). Current Chair of the Finance Committee since 2010. Son is a Troop 5 Eagle Scout (former PL, ASPL). Committee Member since 2005. Past Finance Committee Chair. Son is a Troop 5 Eagle Scout (former PL, ASPL, SPL). Eagle Scout (Troop 5). Committee Member one year. (former PL, ASPL and SPL). Current Troop Treasurer. Committee member for since 1998. Son is a Troop 5 Eagle Scout (former PL, ASPL). Current Committee Secretary since 2013. Previous Camping Coordinator and co-Den Leader for Pack 20 South Orange. SROTC Cadet Commander. Three sons who are Troop 5 Eagle Scouts. Two were PL’s. VP, Litigation Council, Fidelity Title.